CHITTENANGO – April 4, 2019 – Sometimes people don’t know what they’re capable of until they do something truly remarkable. 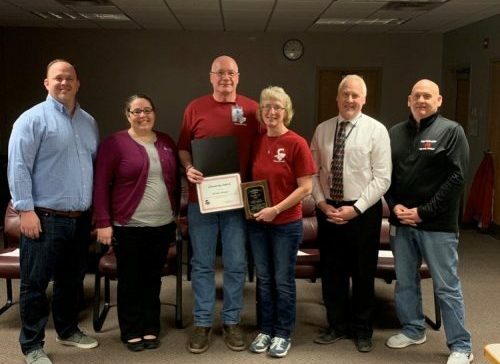 Robin Whipple and her husband Mike are both Head Cleaners at the Chittenango Central School District who never expected that one day they would help save someone’s life. On Sundays during the winter, Chittenango Middle School hosts an amateur men’s basketball league. Robin and Mike both work on the weekends when the teams are playing. The players “are known for getting competitive sometimes,” Mike said with a slight grin. So, when a young player hit the floor at the end of the first half, Robin waited by the scoreboard until she noticed he was not getting back up. After only a few seconds, she went to go check on him and realized that the young man was not breathing. “I didn’t have time to get nervous, I just had to act in the moment,” Robin said. She took control of the situation. “I was yelling at everyone to back up and give us space,” she remembered. Robin and the player’s coach quickly ruled out a seizure and started performing chest compressions. He was still unresponsive after a few rounds of compressions so she ran to get the cardiac defibrillator. She explained what happened next: “His teammates rolled up his shirt. I’m looking at the instructions on the machine, then I’m looking down at the guy’s chest, and I’m thinking, this is the real deal – I have to do this.” Robin followed all the instructions in the defibrillator kit, placed the electrodes on the man’s chest, and started the machine. While all this was happening, Mike was just outside the gymnasium calling 911 to summon help from EMS and notifying the school building supervisor about what was happening. When first responders arrived, they placed the man on oxygen and rushed him to the hospital. He is alive today thanks to Robin and Mike’s quick actions, and the excellent work of first responders. When the Whipples first joined the night staff at the School District more than ten years ago, they pushed their employer to get CPR training on the job. The Union asked for it, because like other districts, Chittenango schools host many community events on the evenings and weekends. 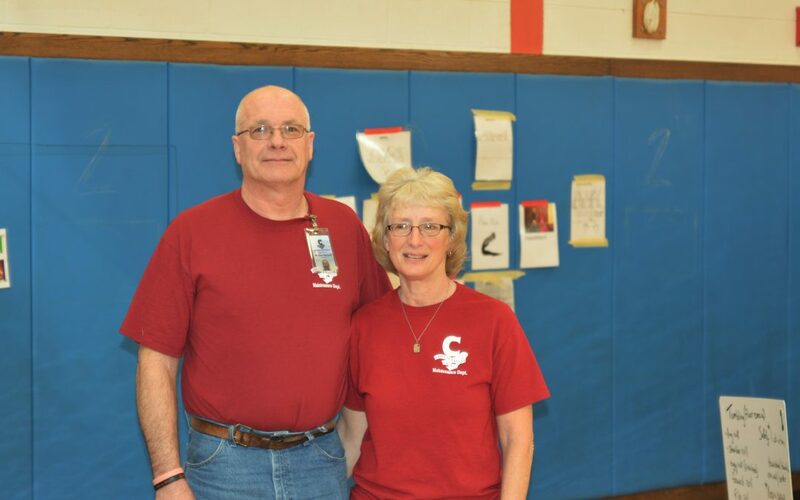 As the only staff in the building during those hours, employees like Robin and Mike Whipple advocated for more health and safety training. The District agreed to the Union’s request and started providing their employees with CPR classes every three years. The Whipples said they’ve taken the CPR class every three years since they started being offered to employees. They also sit on the Executive Board of AFSCME Local 2630A, which represents support staff at the Chittenango Central School District. Robin explained that the Union is important to her because it gives her a say at work. Robin and Mike know how to create a safer workplace for themselves and the community by using the collective voice of the Union.